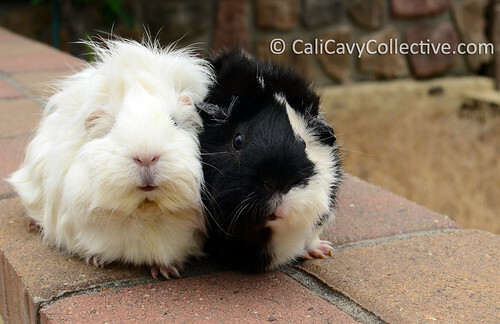 A portrait of piggy roommates Abby-Roo and Revy. Sitting side by side they make quite the funny pair. They only agreed to pose for snapshots because their tummies were full of grass - although that didn't stop Revy from complaining when Abby-Roo's fluff invaded her airspace. Between the both of them they have enough Abby attitude to fill an entire fridge. 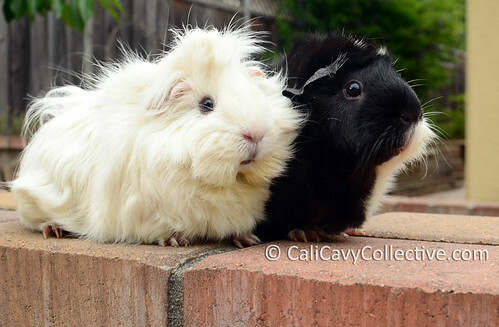 Such diva pigs. They are so cute! I love Abby-Roo in that second shot.